Hi there, I’m Leftfootdaisy the Fibre Strumpet aka Lora. You’ll barely ever find me without a pair of needles in my hands and a project on the go. I’m obsessed by all kinds of crafts, but fibre crafts are my first love and knitting is my passion. 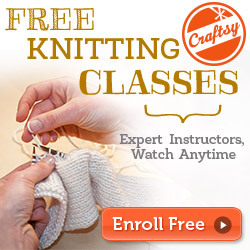 I learnt to knit when I was about 5, my Nan showed me the basics and then my aunt taught me – families? Anyway, I remember being fascinated by yarn shops when I was a child, but didn’t really make anything significant until I was 11, when I knitted my first jumper. A real 80’s concoction knitted with one very large needle and a much smaller one. At 18 my life was a little strange (to say the least) and I found myself with lots and lots of free time, so I picked up my needles and haven’t really stopped since. I’m self taught and am constantly looking for new things to try. My first language is knitting, but I have taught myself basic crochet, although I do hold my hook as if it were a needle. 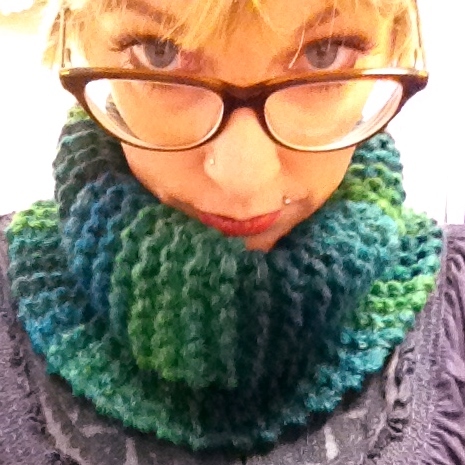 I will knit anywhere, you name it and I’ve probably tried. I owned a yarn shop in Ireland for 10 years and during that time I met some truly wonderful people, many of whom I’m blessed to now call friends. 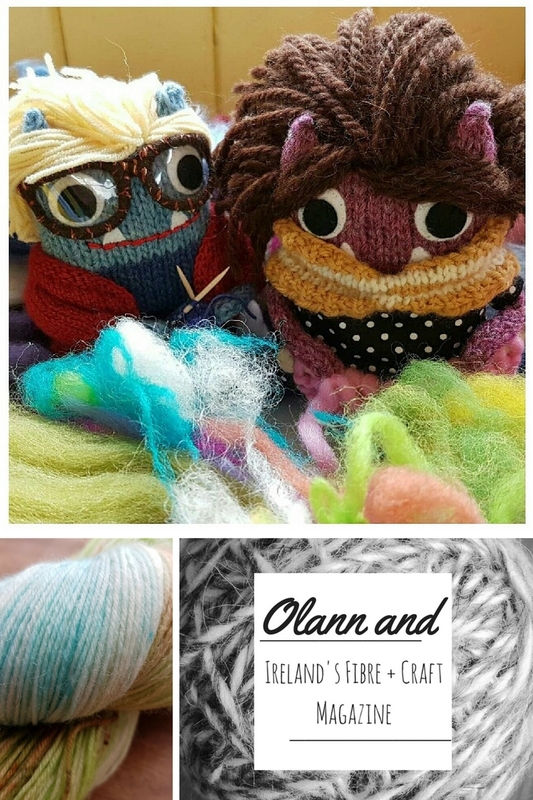 I closed the doors of my lovely shop in July 2015 to set up Olann and Ireland’s Online Fibre + Crafting Magazine with my good friend Deirdre McArdle. When I’m not fibre crafting or with my fibre crafting friends then I’m a mother to my 3 children, Dina Du and Kye, wife to Con and dog owner (4 at the last count). I love to cook, actually enjoy ironing and take pleasure in tending the garden occasionally. it helps that I’m rather fond of weeds. You can find me all over the internet as Leftfootdaisy, come and say hi.